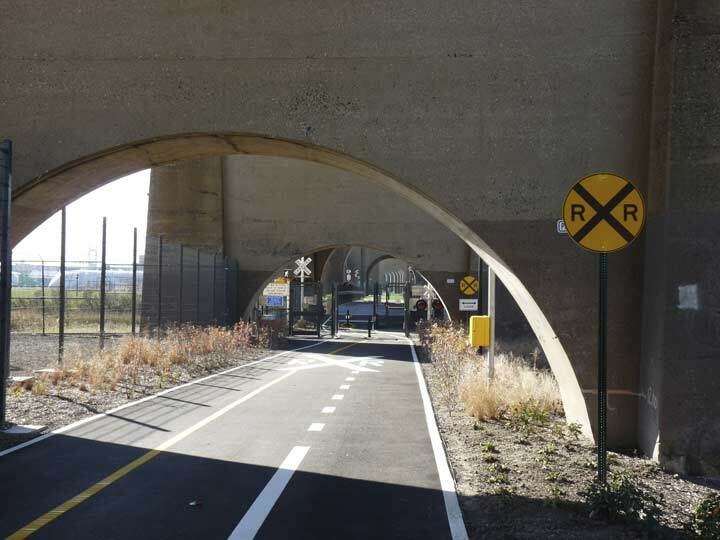 During the waning light of November 2015, we had a spectacular midweek day — it could have been the day after Thanksgiving — and word had come about a brand spanking new pedestrian and bicycle connection between Port Morris, Bronx over the narrow but significant Bronx Kill into Randalls Island, a considerable expanse in the East River lying, along with Wards Island, to which it was annexed by landfill, between the three boroughs of Manhattan, Bronx and Queens. Naturally I got on my horse, so to speak, and made my way over. It was a fine day for it as the Randalls Island Connector, as it is called, was completely empty with just a few other souls making their way across. Port Morris is located at the extreme southern end of the Bronx, mostly cut off by its sister neighborhood, Mott Haven, by the Triboro Bridge and Bruckner Expressway. There are precious few residences to be found and it’s mostly filled with brick factories and warehouses. Rumor has it that gentrification is coming to Mott Haven, but it’ll take a few years to make it east to Port Morris. Its closest mass transit station is at Cypress Avenue on the #6 train; marching east on East 138th, I spotted this distinctive air vent. (above). At first glance it appears to be a modified Vicuna, model number AFL-0000, as seen on FNY’s guide to NYC street vents. Much of the southern Bronx was once owned by the colonial-era Morris family. Gouverneur Morris (1752-1816) half-brother of Lewis Morris, was a political leader, diplomat, U.S. Senator, and American ambassador to France. He was an outspoken opponent to what he termed ‘unchecked popular democracy’. His son, G. Morris II, sold the estate to Jordan Mott. Gouverneur Morris was outspoken and brash but nonetheless, he became ambassador due to his through knowledge of the French language and its nuances. In his youth, he would drive teams of horses without the benefit of reins, yelling and cracking a whip instead, but one day one of his teams ran off and he was dragged, winding up with a crushed leg. For the rest of his life he hobbled along on a wooden leg, like a Dutch predecessor, Peter Stuyvesant. G. Morris was also the driving force behind the 1811 Commissioners’ Plan that drafted a street grid layout for Manhattan Island as far north as 155th Street; you can thank, or blame, him for that. 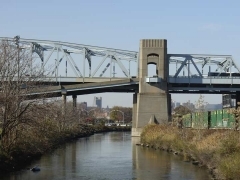 His son, G. Morris Jr., developed a deep water port along the East River in the neighborhood named for it and built the freight-only Spuyten Duyvil and Port Morris Railroad, connecting the port to what is now the main line of Metro-North in Morrisania. 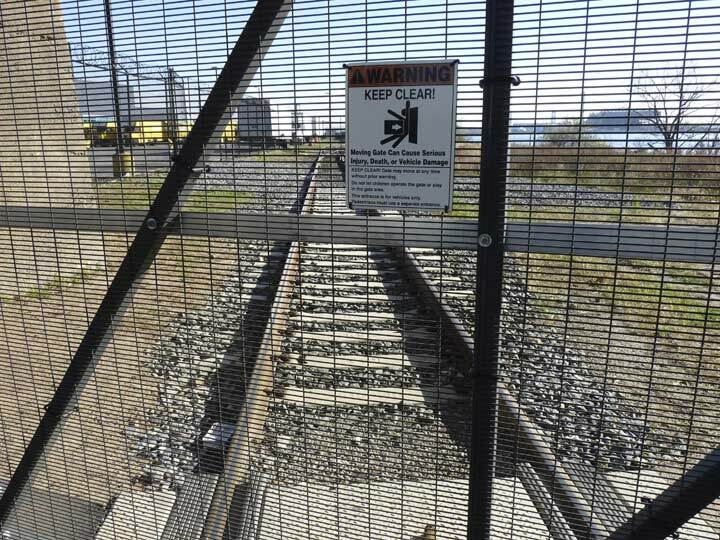 The railroad’s open cut still exists and is now a trash dump site and homeless encampment. In order to create the port Morris had to attach Stony Island to the mainland with landfill. The subway leads straight to the no-frills Church of God just in front of the Vicuna. East 138th, which I wish was still called by its name in old Morrisania, Van Stoll Street, passes beneath the Bruckner Expressway, which begins where the Major Deegan Expressway meets the Triborough Bridge. The Bruckner is one of the newer expressways in the city, having been finished in 1973, running over the course of Bruckner Boulevard, named in the 1940s for a recently deceased Bronx borough president, Henry Bruckner. 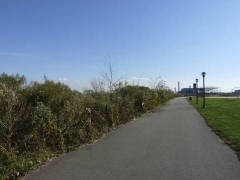 Prior to that the surface road had been called Eastern Boulevard and it had been cobbled together from several different routes between Mott Haven and the Pelham Bay Park area. I turned south on Willow Avenue, Port Morris’ main concentration of brick factories. Just south of East 138th is the HQ of M. Melnick, a construction contractor. I was attracted by the metallic lettering in the Garamond Bold font: there should always be more Garamond. I mentioned that Port Morris is not completely industrial. There are a few pockets of residences such as these tiny 2-story attached buildings on East 136th and 137th Streets between Willow Avenue ansd Bruckner Boulevard. 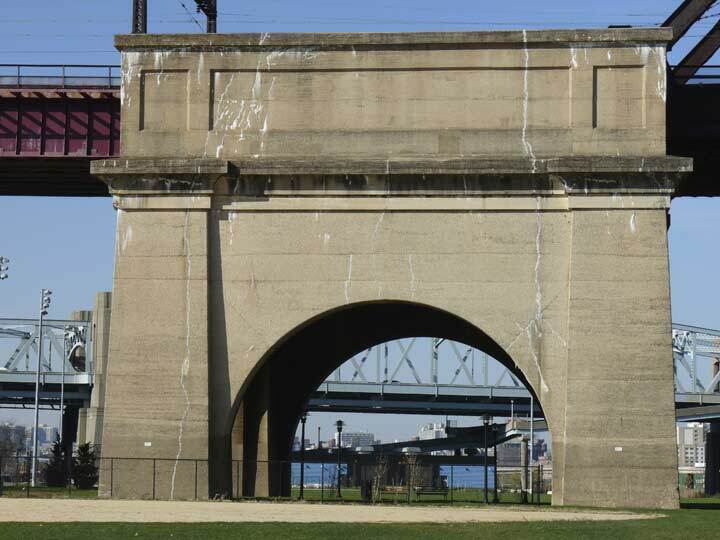 Port Morris’ avenue names, Willow, Walnut, and Locust, are reminders of when there was a considerable amount of greenery around before this area was filled with factories and warehouses. This former factory building at 190 Willow Avenue and East 136th is now a homeless family shelter operated by Bronxworks. Former Guardian Angel Lisa Evers took a look inside in a report for WNYW Channel 5 news. Philip Knitting Mills, in a brick factory at Willow and East 136th with Deco touches at the entrance. Morris Philip (who had an appropriate first name in this part of the Bronx) was the firm’s founder. Besides having patents for some specialized knitting machines, he’s most famed for inventing the Philip Cup, the splash proof coffee cup lid. The Philip Cup factory was located at 26 Bruckner Boulevard. Two things here: how coincidental is it that yet two more Morrises are involved in the south Bronx and second, the fact that Marcus Brush was in this building only from 1925 to 1930 and yet the painted script from that time has endured for eight following decades? Crazy, man, crazy. It was time to head for the Randalls Island Connector. There is, as yet, no obvious signage to direct the walker or bicyclist to the exact spot where it can be accessed — you would think there would be Parks Department or Department of Transportation signs all over the neighborhood directing people to the city’s new baby. It could be because the project was overseen not by Parks or the DOT, but by the New York City Economic Development Corporation. 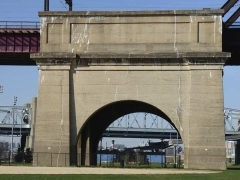 Before harding in, though, I took note of the heavy iron belonging to trackage coming off the Hell Gate Bridge (which is also a “triborough” bridge, as it connects Queens and the Bronx across Randalls Island, which is politically in Manhattan). The railroad runs in its own right of way in Port Morris between Willow and Walnut Avenues. Port Morris is also the site of the New York Post printing plant for the newspaper founded by Alexander Hamilton in 1801, with the plant entrance on East 132nd Street just east of the Connector entrance. I have actually been here before — in 2005 I was invited to tour the inside of the plant by my pal, author Dawn Eden, when she was a NY Post employee. Here’s a photo of her with some of the huge paper rolls the paper works with. The NYC edition of the Wall Street Journal shares the plant, which opened in 1998, with the Post. 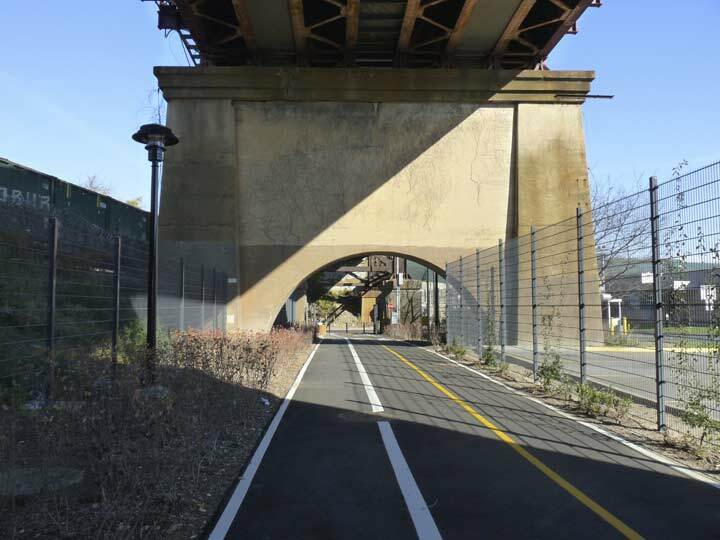 … and after construction of a walkway and bridge over the Bronx Kill, it looked like this in November 2015. 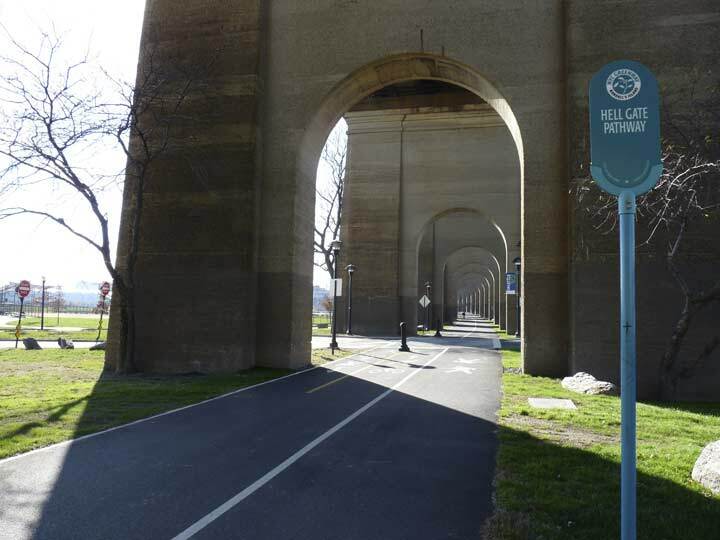 Of course this is not the first pedestrian-bike connection between the Bronx and Randalls Island. The first appeared in the early 1930s when walkways were built on the Triborough Bridge and a set of ramps delivered the walker or cyclist to the island, but the ramps are lengthy and have been in disrepair for several years. 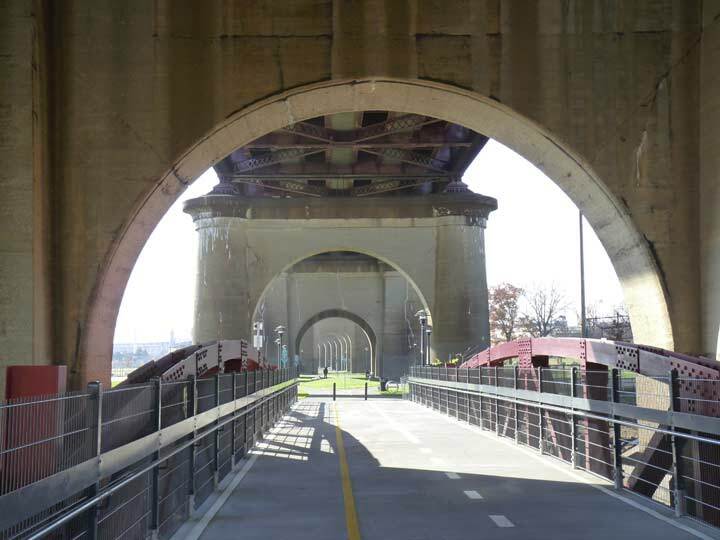 I have walked the ramp connecting Wards Island with Astoria a couple of times, and recorded the experience on this FNY page. The Randalls Island Connector was built directly below the Hell Gate Bridge as it crosses Bronx Kill. It was first proposed in 2006 but it took seven years of negotiations with both NY State and private owners to obtain easements. Maps have been installed here and at several points along the connector. You can now also walk between the Bronx and Queens with relative ease, via the Connector and then the pedestrian path on the Triborough leg between Wards Island and Astoria. Beside the pedestrian Connector, a ramp connects the Connecting Railroad on the bridge to the Oak Point Link, a relatively new freight line built along the north shore of the Harlem River so the CSX Railroad could bypass the previous junction at Mott Haven, where there are three commuter lines. The link is relatively new, havin been completed in 1998 after 13 years of planning and construction. 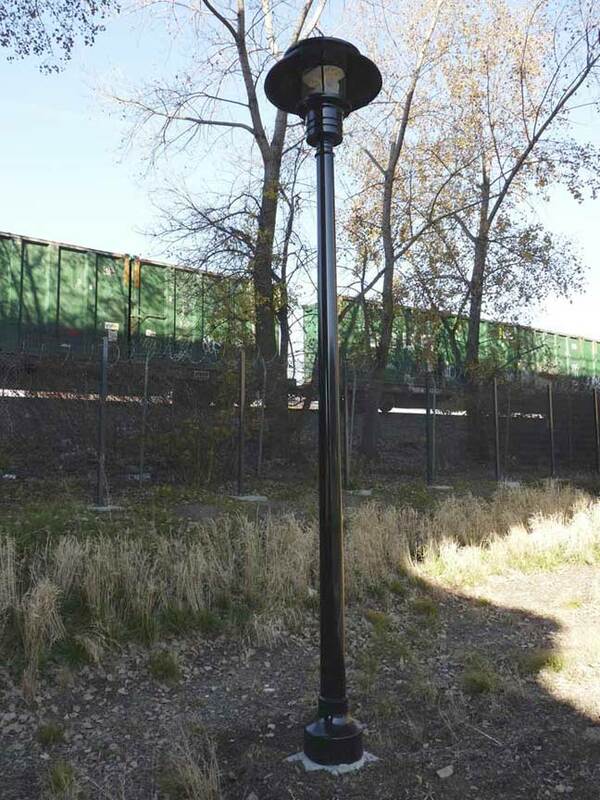 The Connector is lit by NYC’s latest design for park lanes and pedestrian walkways, According to the DOT Manual, it’s known as the Flushing Meadows luminaire even though its first deployment was in Canarsie Beach Park in Brooklyn in 2004. Looking back toward East 132nd Street, and passing beneath the shortest of the hundreds of comcrete arches that support the railroad trackbeds of the Hell Gate Bridge. If anything, I’ve always been a bit more impressed by the incredible amount of concrete it took to construct this architectural masterwork. 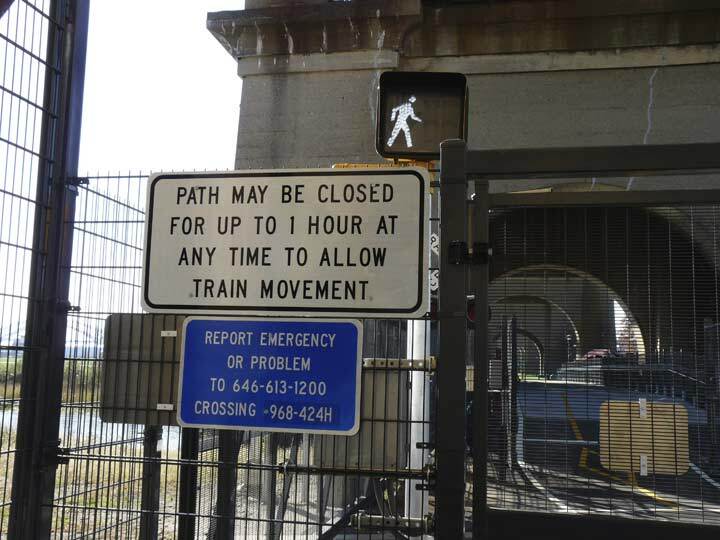 The Hell Gate Bridge, which celebrates its centennial in 2016, was the final piece in the puzzle of running railroad trains into Midtown Manhattan. The tubes connecting Long Island with Penn Station opened in 1910, and Hell Gate Bridge, connecting Long Island with the mainland, opened in 1916 as the lengthiest steel arch bridge in the world until surpassed by the Bayonne Bridge in 1931. “Hellgat” means ‘beautiful strait” in Dutch, but lived up to its English transliteration as an extraordinarily dangerous stretch of water due to conflicting currents of the East River and Long Island Sound, as well as a great deal of rocks that made it treacherous for shipping until the rocks were detonated into rubble (see the Mill Rock link above). 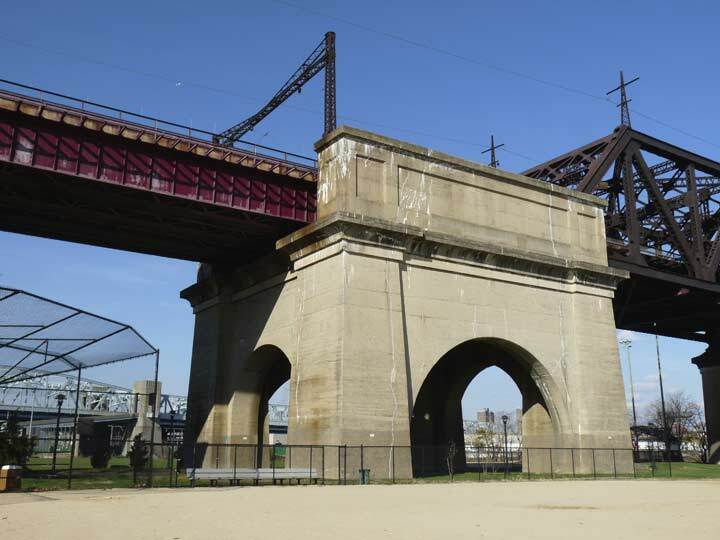 The construction was overseen by Gustav Lindenthal, who worked on the Williamsburg and Queensboro bridges as well. In the mid-1990s it was painted a deep maroon, which the sun has faded to light magenta. The masterminds behind transit site vanshnookenraggen (illegally) climbed the bridge and snapped some photos one night in 2010. 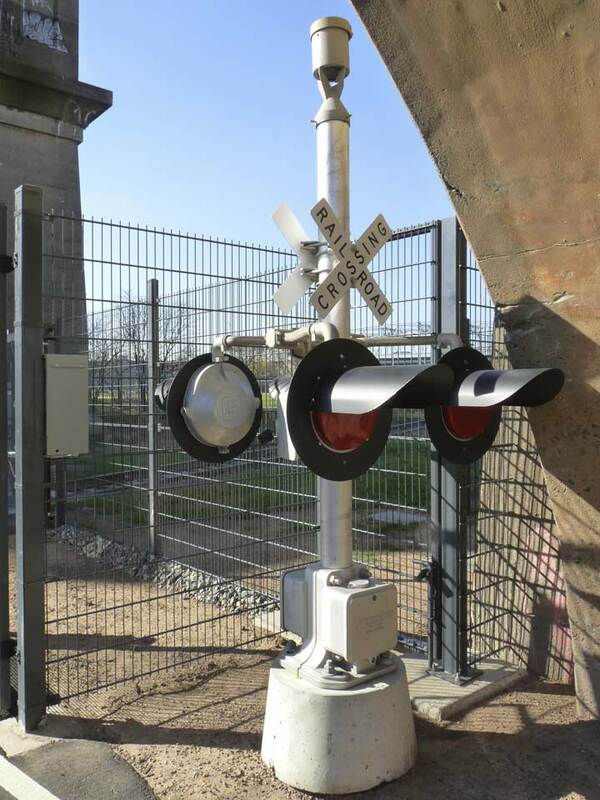 I found a big surprise when using the Connector — a railroad grade crossing. In 2014 I did a survey of all active grade crossings in NYC on auto routes. This is the newest one although it handles just pedestrian and bike traffic. 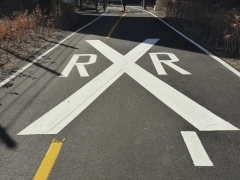 The crossing has the usual complement of pavement markings and crossing gates and even a NYC “walking man” pedestrian controller. It’s a one-track connection between the Oak Point Link and the New York Post printing plant; I’m not sure how much train traffic it actually sees. 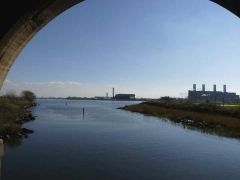 The most important piece in the puzzle of the Randalls Island connector is the bridge over the Bronx Kill. 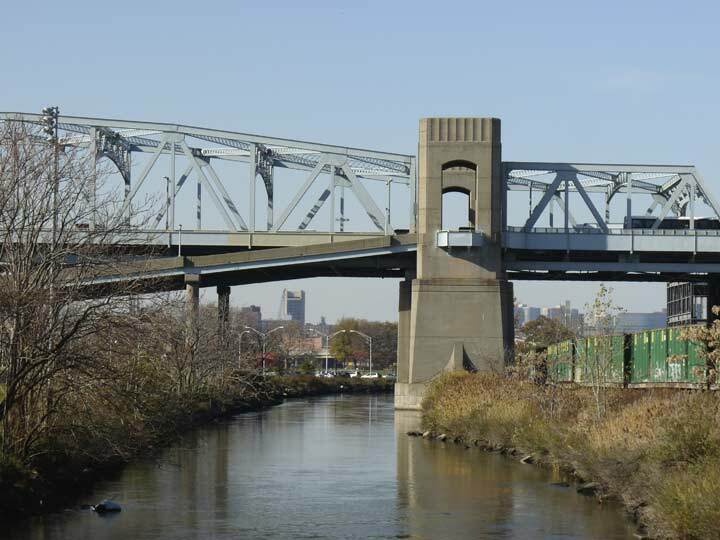 It’s the newest bridge connecting the two boroughs, although it’s actually not considerably older than its two predecessors: the new Third Avenue Bridge (2004) and the new Willis Avenue Bridge (2010). 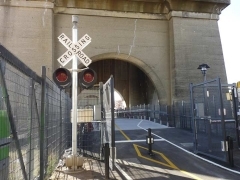 And, the oldest extant bridge between Manhattan and the Bronx, spanning the Harlem River, High Bridge, was reopened to pedestrian and bike traffic after decades of moribundity in June 2015. The new bridge should really have a name of its own. It’s an arch bridge like its big brother the Hell Gate. 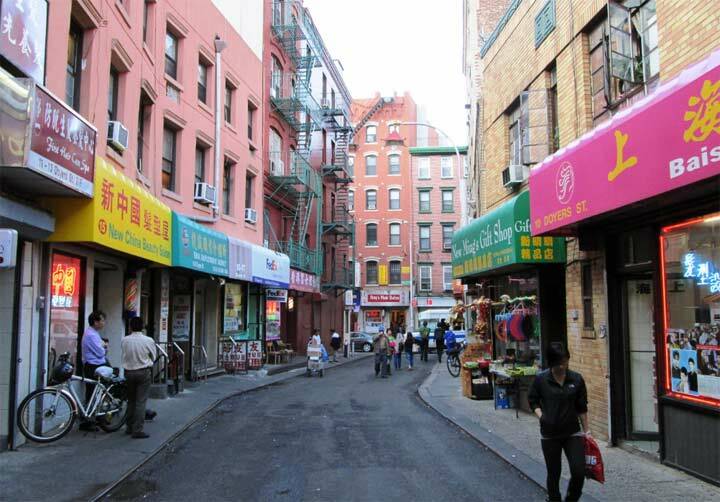 Don’t let the narrowness of the Bronx Kill fool you: it’s not usually wadeable. 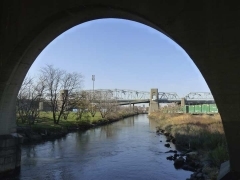 Though the Bronx has been known for its crime, the name of the waterway reflects its Dutch origins, as “Kill” comes from a Dutch word meaning “strait” and it appears in other waterways such as the Arthur Kill and Kill Van Kull on the north and west sides of Staten Island. The strait used to be considerably wider and featured tricky currents that dissuaded water traffic. Today it’s used by kayakers. The Bronx Kill Salt Marsh runs along the northern edge of Randalls Island just east of the Connector. Randalls and Wards Islands have a few saltmarshes, which are described by wikipedia as coastal ecosystem[s] in the upper coastal intertidal zone between land and open salt water or brackish water that is regularly flooded by the tides. It is dominated by dense stands of salt-tolerant plants such as herbs, grasses, or low shrubs. 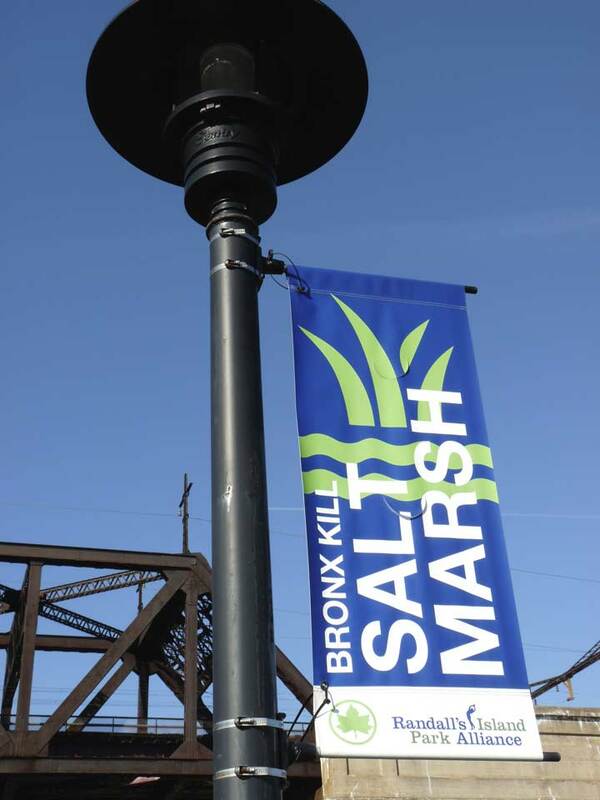 The Bronx Kill salt marsh was redeveloped by Great Ecology and RGR Landscape. 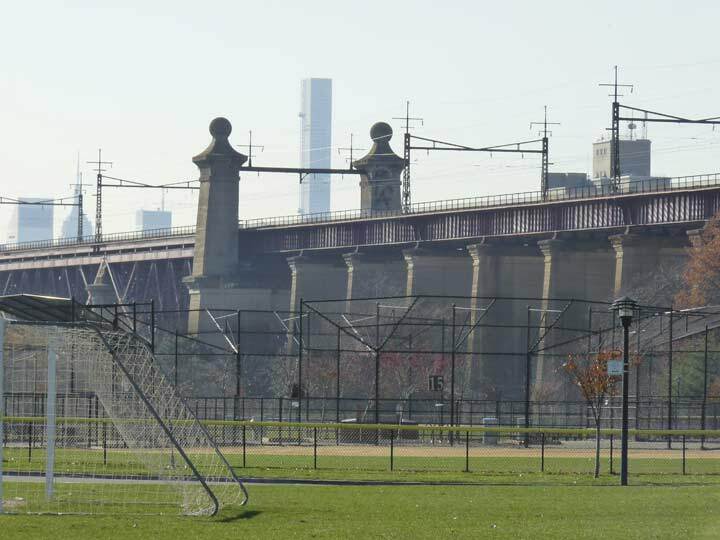 Immediately to your left if you are taking the Connector north from Port Morris into Randalls Island are the Sunken Meadows Ballfields. 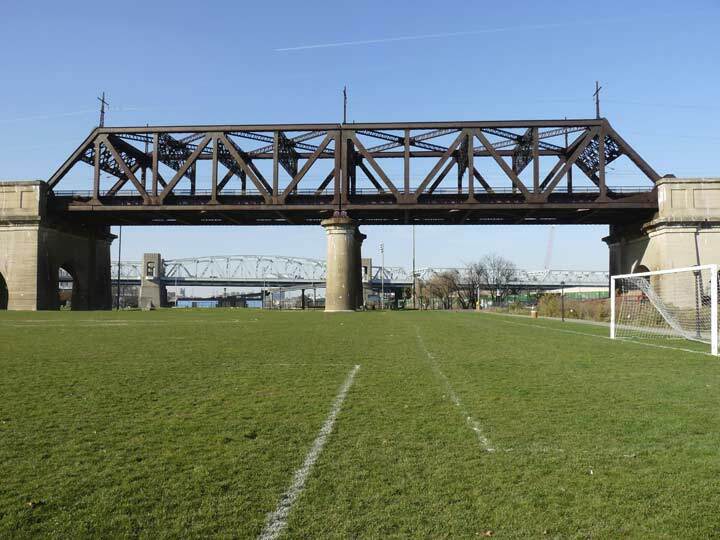 If you enjoy taking photos of railroad bridges, this spot is perfect. 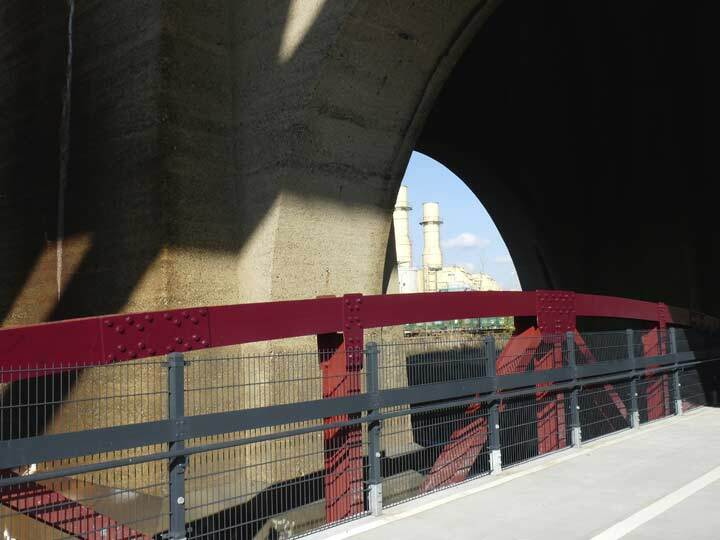 Here we see a truss section of the Hell Gate and beyond it, the Randalls-Bronx section of the Triborough, which was the sole pedestrian/bike option for Randalls prior to the opening of the Connector. Looking southeast from here we see the main span of the Hell Gate Bridge crossing into Astoria. The bridge made train traffic between NYC and New England much easier from both physical and economical standpoints. 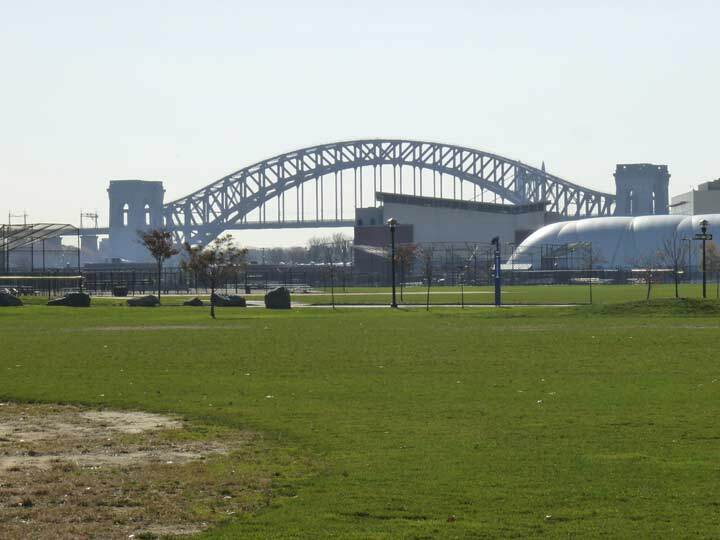 Here’s the Hell Gate Bridge approach as seen across Sunken Meadows. This view shows 432 Park Avenue, the nearly 1400-foot tall luxury Midtown residential building, through the concrete spheres that punctuate the bridge approach. The forever King of All Buildings can be glimpsed at left; from this vantage, it appears adjacent to the Citicorp Building on Lexington and East 53rd, but the two buildings are separated by 4 avenues and 11 cross streets. Looking east now, toward the northern Astoria gas generating plant. I don’t think bridge construction design ever got any better than this. In Part 2, I’ll go afield in Randalls and take a look around. “…there should always be more Garamond.” Absolutely. Kevin, you wonder how much activity those tracks saw that lead to the NYP plant. If the tracks are shiny silver, they’re active . If they’re rusty, then . . . . .
Before the NYP took over the land where the plant is located, I worked there as a Bus Operator. The facility there was known as Walnut Bus Depot – a nod to nearby Walnut Avenue. I worked there from its opening in March 1984 until January, 1993. Prior to the building’s use as a bus depot, it was used as a Woolworth warehouse. I know personally, because I worked there as a security guard for one day in the early 1970s. What happened to the photos? There are several captions punctuated by blank spaces. Please try posting this feature again. Never mind… Persistence pays. After several attempts , including much pointing, clicking, & scrolling the previously missing photos appeared. So no need for any further action on your part. Thanks for the feature; it was worth the effort (yours & mine). Sorry to hear, but they all work for me. Try updating your browser or using a different one. Sometimes all you need to do is clear your browser’s cache. BTW, Kevin, a lifelong Michigander here who really loves your site. Keep up the excellent work! My high school would take us all up to Randalls island once in a while to hold some kinda athletic event the meaning of which now escapes me. Next time in the area be sure to check out the Bronx Brewery on East 136th St. and The Port Morris Distillery on East 133rd St., both between Willow and Walnut Avenues. Prior to your latest immortalization of the concrete arches under Hell Gate Bridge, the same spaces were cinematically (is that a word?) immortalized in the movie version of “Godspell”, which I think had scenes early in the movie filmed there. 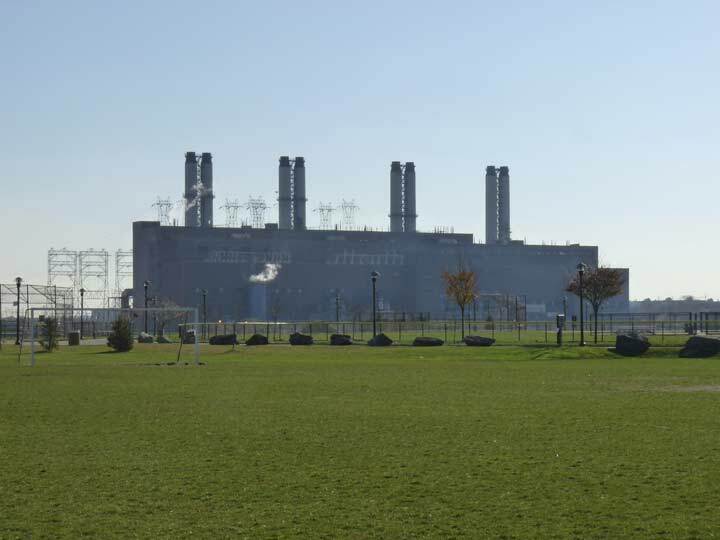 That’s not the Ravenswood power plant, it’s the Astoria gas generating station, about 1 – 2 miles north of Ravenswood.